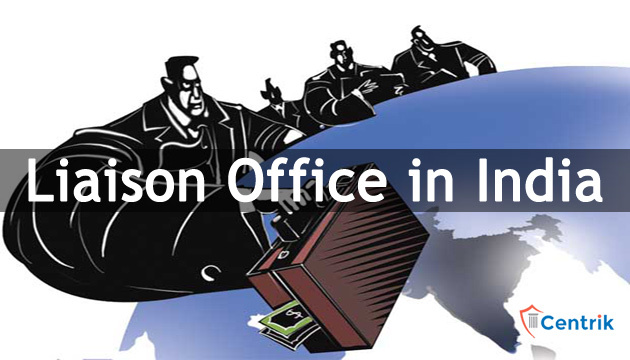 If you are living out of India and investing in India is one your plans you might like to consider setting up a Liaison office. The whole story of setting up a Liaison Office is not only to explore business opportunities but also helping companies to map a business strategy to locate business potentials in India. It is vital to understand first that application for setting up of Liaison office is approved by Reserve Bank of India (RBI) which can only be routed through Authorized Dealers (AD). Due to certain amendments made in the application the timeline for setting up Liaison office has increased and so has the list of documents required for the same. • Representing in India the parent company/group companies. • Promoting export/import from/to India. • Promoting technical/financial collaboration between parent/group companies and companies in India. • Acting as a communication channel between the parent company and Indian companies. • The company looking to start a Liaison Office in India shall have a profitable track record during immediately preceding 3 years in the home country. • The Net worth i.e. the total of paid-up capital and free reserves, less intangible assets as per latest audited balance sheet or Accountant statement certified by a Certified Public Accountant shall not be less than or equal to USD 50000/-. As per RBI, the application for Liaison Office and Branch Office can only be submitted by Authorized Dealer. Here, various institutions having banking license are considered an Authorized Dealer. • Form FNC1 3 copies. • Letter from the principal officer of the parent company to the RBI. • Letter of authority from the parent company in favor of local representative. • Comfort letter from the parent company intending to support the operation in India. • 2 copies of the English version of the Certificate of Incorporation, Memorandum and Articles of association (Chartered documents) of the parent company rightfully attested by Indian embassy or notary public in the country of registration. •Certificate of Incorporation-Translated and Rightfully Notarized and Certified by Indian Consulate. •The latest audited balance sheet and annual accounts of parent company duly Translated notarized for past 3 years and Certified by Indian Consulate and Directors. • Name, Address, e-mail id and telephone number of the authorized person in the home country. • Details of the Bankers of the Organization, the Country of Origin along with the bank account number. • Commitment from the organization to the effect that it will be open to reporting/opinion sought from its bankers by the Government of India/RBI. • Expected funding level for operations in India. •Details relating to address of the proposed local office, number of people likely to be employed, number of foreigners among such employees and address of the head of the local office, if decided. • Details of the activity carried out in home country by the applicant organization in brief about the product and service of the company in brief. • Latest identity proof of all the Directors-Certified by Consulate and Bankers in the home country. • Details of the individuals/Company holding more than 10% equity. • Structure of the Organization with respect to the shareholding pattern. • Complete KYC of the shareholder holding more than 10% equity in the applicant company. • Resolution for opening up Bank Account with the Banker. • Duly signed the bank account opening form for Indian Bank.